In May of 1931 Karl Duell purchased a large lot from Russell Millington in North Warrensburg. By October of 1932 Duell's Garage was open for business A year later the upstairs of the garage was remod-eled for an apart-ment, where Karl and his family would live. From 1936 on, he was a noted Oldsmobile salesman. 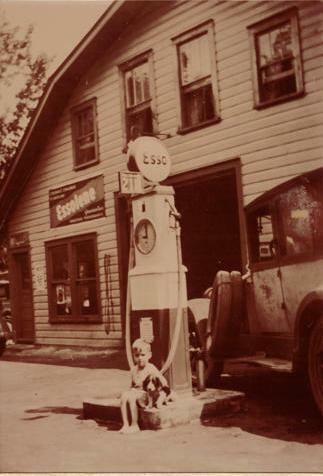 In December of 1939 the garage was destroyed by fire and the following year Karl opened the Esso Service Station on lower Main Street. Karl died in 1972 at the age of 63.